Yesterday it was announced that Boston Bruins defenseman Torey Krug will be out following an ankle injury he sustained during the pre-season game against the Philadelphia Flyers. Following the game, there was speculation as to whether or not Krug would be ready for the opener on Wednesday. Things didn’t look too good for the 27-year-old as he was seen leaving the arena in a camwalker boot. 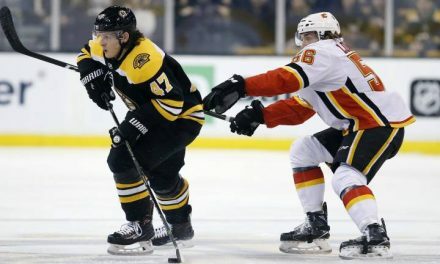 For Bruins fans, it’s sorta of a déjà vu as Krug also suffered an ankle fracture during the end of the playoff loss against the Tampa Bay Lightning. 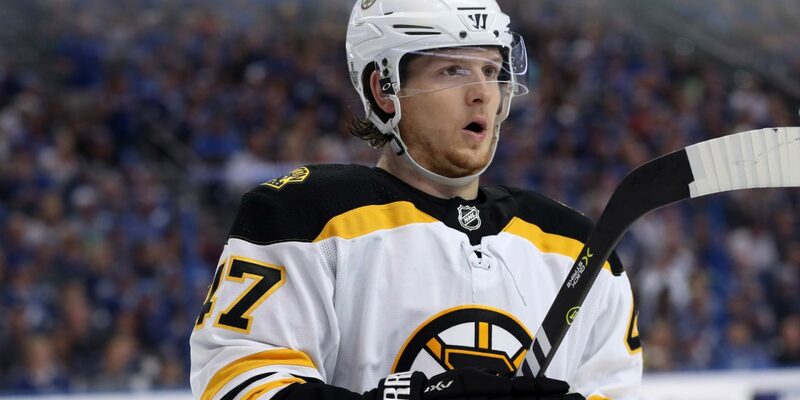 General Manager Don Sweeney also stated that Krug will be re-evaluated in three weeks. Not exactly the best way to start a season, but it’s certainly not the first time this Bruins team has faced injuries early on. Last year, Boston seemed to be hit by one injury after another. As the story goes, many analysts weren’t exactly positive about the team and chalked it up as a rebuilding phase. And if you followed closely last season, the Black and Gold (with all those first-year guys) made the Playoffs. Last year’s team was all about the explosion of youth and the chemistry that the team developed; something that will hopefully carry over to this year’s team. With Krug out for a few weeks and Matt Grzelcyk nursing a lower-body injury, the reality of Urho Vaakanainen making it on the varsity team is no longer a long shot. 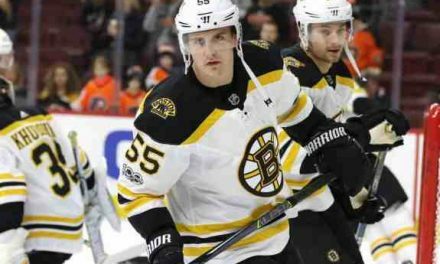 In other Bruins news, GM Don Sweeney also announced yesterday that both forward Peter Cehlarik and center Trent Frederic have been assigned to the Providence Bruins (AHL). Frederic has recently been in the “running” for that third center line spot. Cehlarik, for his part, has been making a push to crack a spot on the Bruins roster. 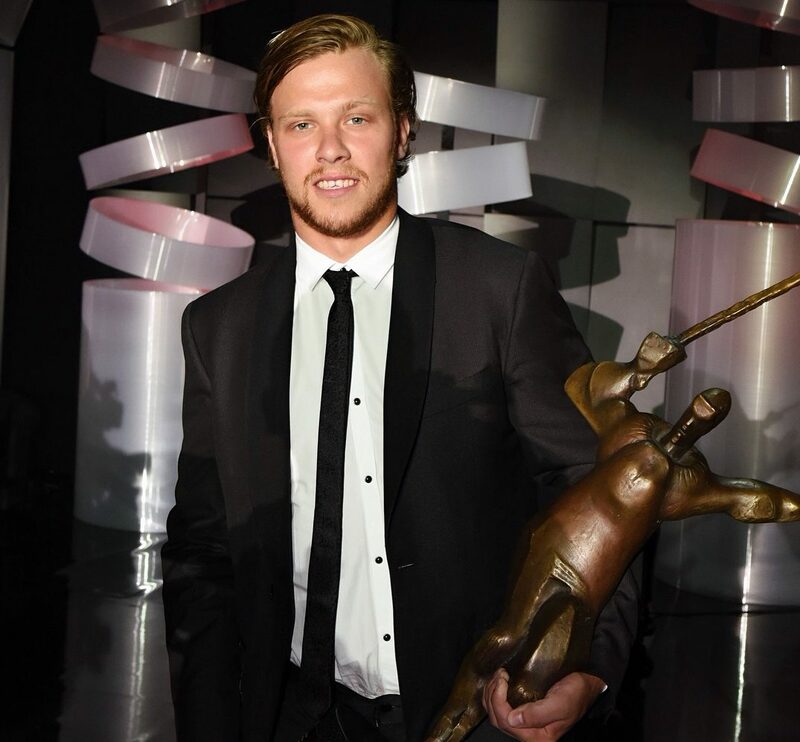 During the preseason, Cehlarik played four games and netted one goal with four assists. As injuries creep up, (which will happen) we may see both Cehlarik and Frederic come up from P-Bruins and fill a slot. Cassidy also says Patrice Bergeron had not setbacks today and should be good to go on Wednesday in Washington. 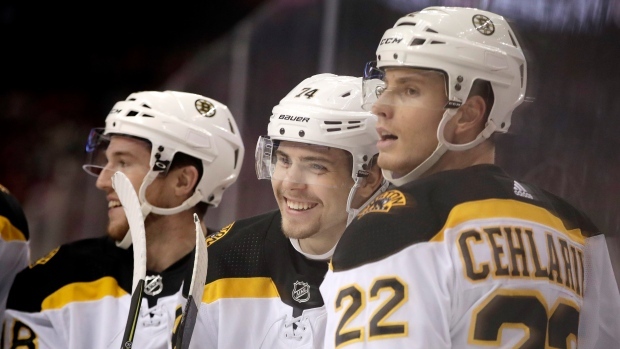 Boston Bruins 4th Line: #1 in the #4 Business?